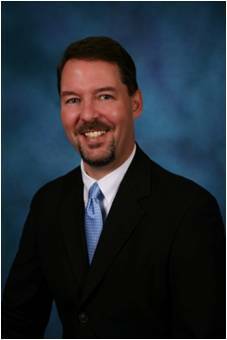 Kirk A. Mack, is a Senior Consultant with Corcoran Consulting Group. He began his career in ophthalmology in 1990 and received his credential as a Certified Ophthalmic Medical Technologist (COMT) through the Joint Commission of Allied Health Professionals in Ophthalmology (JCAHPO) in the same year. From 1992 to 1995, he was the clinical supervisor at the University of Texas Medical Branch (UTMB) in Galveston, Texas where he participated in research projects and helped train ophthalmic technicians, ophthalmology residents, medical students, and physician assistant students. From 1995 to 2003, he was the ophthalmology practice manager at UTMB. Kirk was ophthalmology clinic liaison for two reviews by the Joint Commission on Accreditation of Health Care Organizations at the medical center. In April 2003, Kirk joined Corcoran Consulting Group. He is a Certified Professional Medical Auditor (CPMA) and a Certified Professional Coder (CPC) through the American Academy of Professional Coders (AAPC). He has also obtained the Certified Ophthalmic Executive (COE) designation. Kirk brings a variety of clinical and administrative experience. He maintains his certification as a COMT and continues to enjoy the clinical aspects of ophthalmology. He is active in JCAHPO and teaches various workshops at the annual meetings. Kirk conducts business from Corcoran Consulting Group’s Galveston, Texas office.